GAMBIA: To Ensure Its Democratic Transition, the country will need Justice and Reconciliation. In December 2016, the people of Gambia elected an opposition presidential candidate for the first time in the country’s history. The outcome caught virtually everyone by surprise, including the incumbent, Yahya Jammeh, who had brutally ruled the small West African nation as a veritable mafia state for more than two decades. Despite initially conceding defeat on national television, Jammeh reversed his position a few days later, declaring the election null and void after claiming he had personally discovered “voting irregularities” in the final results. Despite living a life of privilege in exile, however, it will not be easy for Jammeh to escape the specter of his repressive and brazenly violent past. Indeed, after decades of state-initiated human rights abuses—including torture, mass executions, extrajudicial killings and forced disappearances—the former dictator has left behind a legacy of widespread and deeply entrenched mistrust among Gambians of their nation’s institutions. During his years in power, Jammeh both created and exacerbated social fault lines, primarily by pitting different ethnic groups against one another. No one in the country was left unscathed by his regime’s wanton brutality. Gambians are now just beginning to take stock of this nightmarish past. Citizens hope to collectively overcome a deep-seated national trauma and move forward in a way that satiates the rising call to bring those responsible for past crimes to justice, while also dousing the flames of division that Jammeh had so frequently fanned with impunity. Most Gambians, across all backgrounds, are rightfully demanding accountability, but there are also pockets within the country where Jammeh is still supported. Some Gambians even hold out hope that someday he will return. Gambians are now just beginning to take stock of this nightmarish past. Now that Barrow’s new and legitimately elected administration has taken office and is beginning to consolidate its power democratically, one of the many daunting tasks ahead for the government is to heal the wounds of a long-persecuted and traumatized people. No doubt, an important element of moving on from a troubled past is to hold to account those responsible for years of abuse, something for which Gambians across the socio-political spectrum are actively advocating and yearning today. Similar to other nations in Africa and around the world, the former dictatorial regime used violence, fear and coercion to force or compel government officials to carry out unimaginable atrocities against their fellow citizens. But, as in other recent cases of similar transitions, the new government in Banjul must balance the need for justice against the primary prerogative of moving the country forward peacefully and united in purpose. One of the methods successfully employed in such circumstances, including elsewhere in West Africa, is a form of transitional justice that consists of both judicial and non-judicial measures designed to bring relief to societies torn apart by years of war, civil strife and entrenched authoritarianism. The wildly eccentric Jammeh, who performed ritual exorcisms and claimed to heal everything from AIDS to infertility with herbal remedies, exerted control through a toxic mix of superstition and fear—propagated through violence and intimidation by his security and intelligence services. He even employed a personal paramilitary force, dubbed the “Jungulars,” who were allegedly involved in countless disappearances, murders and torture of Jammeh’s critics. No one in the country was left unscathed by the former regime’s wanton brutality. Gambia’s troubled history under Jammeh is replete with similar criminal episodes, mainly perpetrated against those who dared to criticize the regime’s heavy-handed tactics, including countless journalists, human rights activists, trade union leaders and members of the political opposition. A 2016 report from Human Rights Watch, among numerous others, documents a litany of violent abuses, including “arbitrary arrest and detention, torture and other ill-treatment, enforced disappearance, unlawful killing, and the role of President Jammeh in facilitating these abuses.” The systemic suppression of political expression and dissent at the hands of Jammeh and his ruling coterie sowed a deep resentment and mistrust among Gambians toward the organs of government and the judicial system, severely undermining the possibility of meaningful public discourse. Now that Jammeh has been deposed through the ballot box, and the tentacles of his authoritarianism are in the process of being rooted out, many of those who did his dirty work are helping authorities to identify the final resting places of those brutally silenced. In the coming days, more gruesome evidence of Jammeh’s crimes will surely be uncovered, which will only amplify the public’s demands for real justice and accountability. Many argue that without it, the sins of the past will inevitably fester, leaving an indelible stain on the consciousness of all Gambians and preventing the nation from uniting at this crucial time. However, the legacy left by Jammeh has made the credible pursuit of justice exceedingly difficult. In the months prior to the December 2016 election, for example, Jammeh referred to the Mandinka—Gambia’s largest ethnic group—as “enemies, foreigners,” and threatened to kill them and place them “where even a fly cannot see them.” This established trail of incendiary rhetoric prompted a special adviser to the United Nations’ secretary-general on the prevention of genocide to issue a formal condemnation, in which he said “statements of this nature by a national leader are irresponsible and extremely dangerous” because they explicitly serve to incite violence against particular communities based solely on their ethnicity. Jammeh singled out the Mandinka ethnic group in part because it was the ethnicity of his predecessor, Dawda Jawara, who was president from independence in 1965 until Jammeh ousted him in a 1994 coup. Despite the widespread belief among most Gambians that they belong to one nation, a belief supported by generations of intermarriage across ethnic lines, Jammeh sought to foment divisions by privileging his own Jola ethnic minority over others. That meant channeling resources—schooling in particular—to southern areas, where Jolas are a majority, placing them in high government positions, and establishing an armed “Jola militia” that would periodically aid the ethnic group’s separatist movement in the Casamance region of Senegal. Jammeh’s decades-long efforts to sow mistrust and provoke ethnic tensions across the country makes the pursuit of justice for his many victims that much more challenging for Gambia’s new leader. Indeed, Barrow, a Mandinka, must do so carefully and in a way that does not antagonize the divisions that his predecessor exploited. Further complicating matters is the fact that, although Barrow won the presidential election, Jammeh still received nearly 40 percent of the popular vote. The Barrow government is now confronted with the herculean task of reimagining and building just and credible institutions that can restore the trust of Gambians and establish social norms rooted in their cultural mores. Nurturing respect for the rule of law, basic human rights and democratic ideals will be paramount to ensuring long-term social cohesion and sustainable human development. To kick-start the difficult rebuilding process, Barrow has been introducing the “new Gambia” to international partners for assistance across a range of vital sectors, from the economy and telecommunications to trade, energy and education. These tasks are compounded, unsurprisingly, by Jammeh’s past corruption: In the waning hours of his presidency, for instance, he siphoned more than $11 million from the Gambian treasury, likely a pittance in comparison to the level of theft and graft that took place under his watch over the course of two decades. What’s more, due to the well-documented pattern of human rights abuses, international donors in North America and Europe halted most development aid and financial support beginning in 2006, when Gambia was suspended from the Millennium Challenge Corporation. The legacy left by Jammeh has made the credible pursuit of justice exceedingly difficult. Adding insult to injury, in the days leading up to last December’s election, Jammeh announced his intent to withdraw Gambia from the International Criminal Court—or, the “International Caucasian Court,” as his former information minister called it. This move further eroded the country’s commitment to the rule of law and cemented Gambia’s already firm status as a pariah state in the eyes of regional and world leaders. 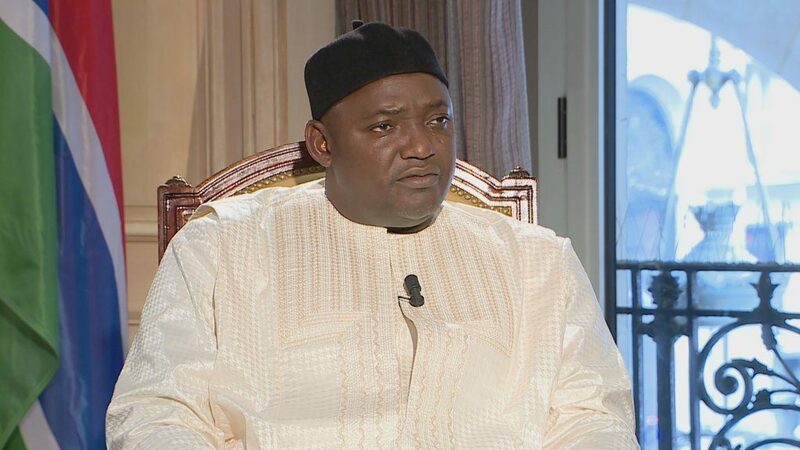 But after Barrow took office, one of his first public declarations was to announce that his administration had no intention of turning away from the court; traditional donors are once again poised to assist his nascent government. In March, Barrow was in Paris for talks with French President Francois Hollande, who has since pledged financial and material resources to support a range of pressing public needs. Increased support from the European Union and development partners in the United States is likely to follow. Currently, the state of Gambia’s rule of law institutions, particularly their ability to pursue transitional justice, is severely constrained. Under Jammeh, Gambia’s justice system was designed mainly to target government critics and perceived dissidents. The Supreme Court, for example, was a revolving door of judges, mainly recruited from other countries like Nigeria, who were personally installed by Jammeh to cave to his whims and further cement his authoritarian grip on power. Indeed, Jammeh pioneered the employ of mercenary judges who were interested not in the pursuit and maintenance of equal justice for all, but rather in the lucrative paychecks they received from the ruling regime. While some countries in Africa hire foreign judges to help fill vacancies, often due to a lack of capacity and technical training, Jammeh used them for entirely self-centered purposes, eroding popular confidence in the very institutions that should ideally undergird a functioning democracy. In addition to these broader development challenges, Barrow must also deal with latent ethnic tensions between the Jolas and Mandinkas, in particular. This will not be easy, as small enclaves of Jammeh supporters remain, even after evidence of his myriad crimes has come to light. For example, many residents of Jammeh’s home village of Kanilai remain loyal and outspoken allies. In a recent media profile of the town, it was reported that the green flags of Jammeh’s political party—the Alliance for Patriotic Reorientation and Construction—are still prominently displayed. One resident was quoted as saying, “People are very angry Jammeh has gone,” adding that many people feared the new government would turn against them. Jammeh deliberately exacerbated Gambia’s social and political fault lines, whether long-standing or arbitrarily defined. Avoiding the perpetuation of any such tensions while simultaneously pursuing justice in the aftermath of Jammeh’s reign is imperative, and requires a tailored approach. Barrow has already indicated his intention to establish a truth and reconciliation commission to address these issues, saying, in reference to the victims of the former regime, “[t]hey will get justice, everybody is under the law, nobody is above the law.” In an interview with the BBC just last week, he confirmed these intentions. “You cannot reconcile without getting to the truth,” he said, adding that there will “definitely” be prosecutions. Already, Gambian officials have arrested several security operatives who allegedly committed mass human rights violations. What’s more, Switzerland has used universal jurisdiction to initiate legal proceedings against Ousman Sonko, Jammeh’s notorious interior minister, alleging he “could not have ignored the large-scale torture” that occurred in Gambia’s detention centers. Barrow’s commitment to establishing some version of a truth and reconciliation commission is a strong indication of his administration’s sensitivity to the challenges that lie ahead. This approach toward transitional justice has been used successfully in similar situations elsewhere in Africa, and in other parts of the world. For many years, transitional justice has been a common model for adjudicating deep disputes within countries following extended periods of human rights abuses and civil conflict. Furthermore, truth and reconciliation processes have proved to be an effective method for balancing the rights of the aggrieved with the need to forge national unity, especially when social, political and ethnic divisions were sown during periods of injustice. The International Centre for Transitional Justice defines the process as “the set of judicial and non-judicial measures that have been implemented by different countries in order to redress the legacies of massive human rights abuses.” These measures can include criminal prosecutions, truth commissions, memorialization, material and symbolic reparations programs, and other kinds of institutional reforms, all with the ultimate goal of ensuring accountability and achieving reconciliation. The use of traditional and culturally sensitized forms of justice is increasingly recognized as integral to the development of a functioning democracy. And as each post-conflict context is unique, the methods used to repair and rebuild a society’s social and political fabric must be specific and adapted to its particular needs. Currently, the state of Gambia’s rule of law institutions, particularly their ability to pursue transitional justice, is severely constrained. Just as important, restorative approaches to justice are not only concerned with responding to a government’s wrongs, but rather with the implications of those abuses for relationships at many different levels: from the individual, group, community, national and up to the international sphere. Given that conflicts negatively affect relationships between individuals and communities, post-conflict rehabilitation must prioritize the restoration of those ties in the pursuit of justice. The origins of this method can be traced back to the Nuremberg Trials in the wake of World War II and the fall of Germany’s genocidal Nazi regime. 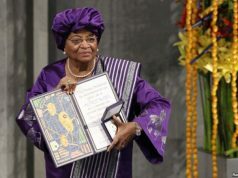 In the decades since, a number of nations around the world that have suffered from war or violent rule, including several notable examples in Africa, have instituted their own versions of transitional justice. For example, after the end of apartheid in South Africa, Nelson Mandela, despite great personal suffering and a 27-year prison sentence, was famously the leading advocate for a truth and reconciliation process that ensured public justice and social healing in equal measure. Likewise, after the horrors of the ethnically driven Rwandan genocide in 1994, the new government emphasized the importance of structuring a process of accountability at the local level. Based on these and other examples, a growing body of research has emerged analyzing the various methods of structuring such processes and the importance of addressing the underlying issues and tensions that led to the atrocities in the first place. One consistent theme throughout is the need to avoid a “one-size-fits-all” approach, and rather to develop a strategy that best reflects the unique attributes of a given society. At the same time, no approach is perfect, and even the most-lauded have flaws that potentially allow tensions to simmer, thereby risking the return of division and conflict. For instance, despite an exhaustive pursuit of justice, the establishment of constitutional rights, as well as aggressive black-empowerment programs, post-apartheid South Africa remains deeply divided; millions of black South Africans have little to show for their hard-fought personal freedoms following years of oppressive white minority rule. Although the official mechanisms of institutionalized racism were brought down at the hands of the late Nelson Mandela, and his African National Congress party, painfully little has been achieved to redress economic disenfranchisement facing millions of black South Africans. 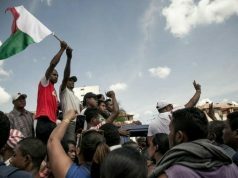 And Rwanda, despite having made an unprecedented pivot from the horrors of genocide in a remarkably short time period, still experiences ethnic tensions in the context of an increasingly autocratic regime that consistently favors members of President Paul Kagame’s ethnic minority for influential government positions. The imperfections of previous restorative justice processes are perhaps unavoidable, but they do not diminish the vitally important role these processes play in delivering justice to the victims and helping the nation as a whole begin to heal. But such flaws underscore the long-term challenge that emerges when social divisions have been selfishly exploited. They force advocates for unity to confront the harsh truth that achieving this goal will not be easy, nor accomplished overnight. Managing expectations with respect to what restorative justice efforts can actually achieve, within a desired timeframe, must be a prominent part of the conversation from the very outset. To be sure, the deeply insidious nature of Jammeh’s 22-year reign has eroded public trust in Gambian institutions and confidence in the rule of law. The former president’s exploitation of ethnic differences has also left behind entrenched social fissures. Therefore, a credible process of holding members of the Jammeh regime to account, including Jammeh himself, will be imperative. So is the need to help divided groups reunite in order to collectively move the country forward and begin filling the void left behind by decades of tyranny. The imperfections of previous restorative justice processes are perhaps unavoidable, but they do not diminish the vitally important role these processes play in delivering justice to the victims and helping the nation as a whole begin to heal. Armed with the lessons of other nations that have endured similar systemic injustices at the hands of the officials charged with their protection, Gambia has an opportunity to craft a process that can achieve justice and healing simultaneously. But this can only be accomplished if it is legitimate—and not just in the eyes of elites or those now in power, but among all Gambians, regardless of ethnicity, political party, gender or economic status. Accomplishing this goal will require a strategy based on the core principles embedded in the diverse culture of the country, reflecting not the demons of the past but the hopes for a brighter and more prosperous future. True and lasting justice is not found merely in punishing the perpetrators of crimes, but rather in empowering the victims to both improve their individual lives and the country as a collective whole. As Nelson Mandela once said, “. . . reconciliation is a spiritual process, which requires more than just a legal framework. It has to happen in the hearts and minds of people.” The process of reconciliation in Gambia will not end until all of its people can live in safe and secure communities and have equal access to quality education and health care, the freedom to pursue economic opportunity, the protection to voice their opinions to those in power, and the ability to freely participate in domestic political processes. The severity of the challenges facing Gambians is great, but it is also an opportunity to rebuild their nation in a way that ensures equality for all who call it home, including a new generation of Gambians who are rightly wary of the past but confident in the future. It is also an opportunity, and potential example, for the many onlookers across the world who have been rightly inspired by Gambia’s hard-fought democratic renewal, many of whom are actively seeking to move on from hardship and authoritarianism to a more inclusive and wholly democratic society. 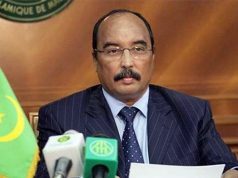 MAURITANIA: No third term for Mohamed Ould Abdelaziz.